Google has taken a shot at Russia’s controversial anti-gay law by expressing its support for LGBT olympians in its latest doodle commemorating the Winter Games. The color of the doodle, which features images of athletes in various Winter Games events, is modeled after the Rainbow Flag — a symbol of LGBT pride. 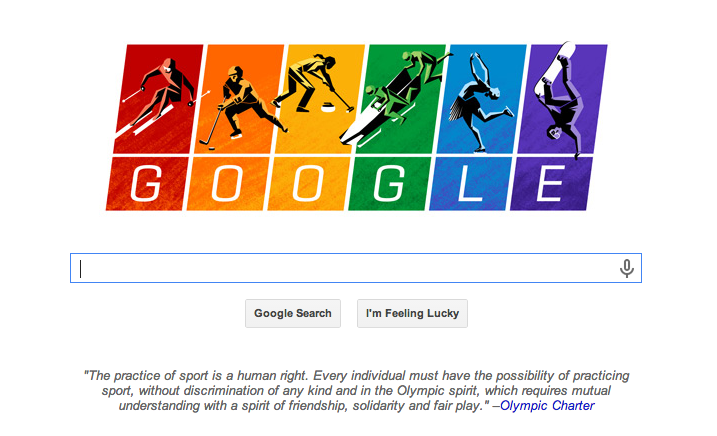 The doodle also quotes the Olympic Charter as saying that there should be no “discrimination of any kind” in the Olympic games — and is linked to search results for the set of rules and guidelines governing the Olympic games.